The Boy Genius Report website has scored itself a good look at the upcoming BlackBerry PlayBook 7-inch screen tablet computer, and have been so good as to record a video of the event. Appearing in the video is Julian Dolce, Platform Lead of the QNX team, makers of the operating system for the BlackBerry PlayBook, and Boy Genius, of said Boy Genius Report website. 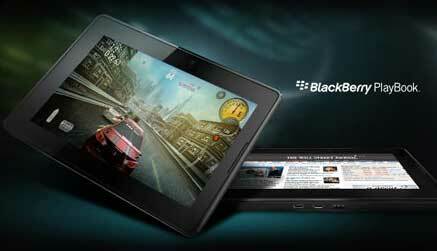 The BlackBerry Playbook does look the goods, and is reportedly set for a release date in ‘early 2011’. Now sit yourself down and settle in for the 9-minute video, an excellent overview of the device. See below the video a list of the PlayBook’s specifications. Next ArticlenPower PEG – you are the power!